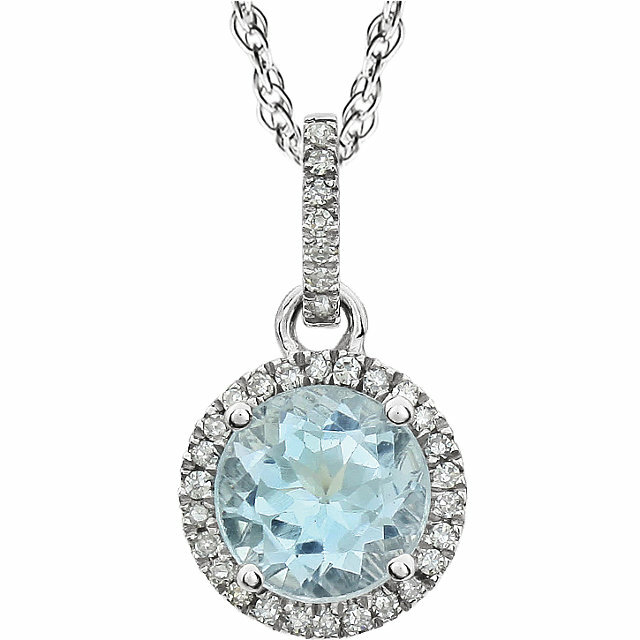 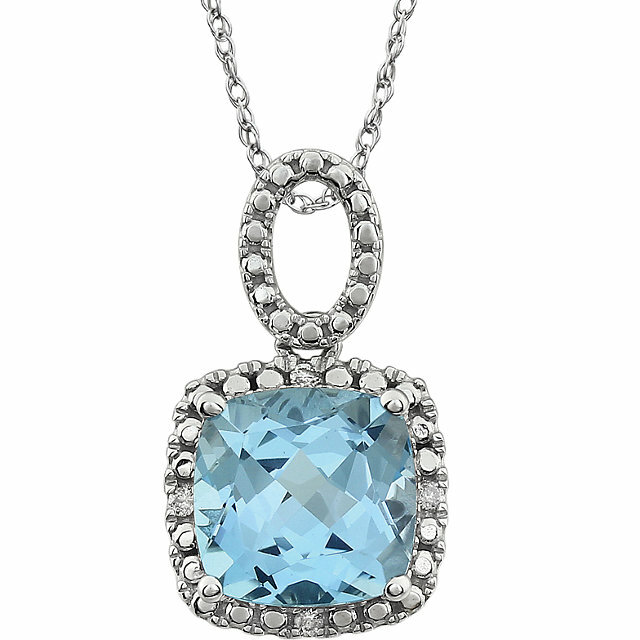 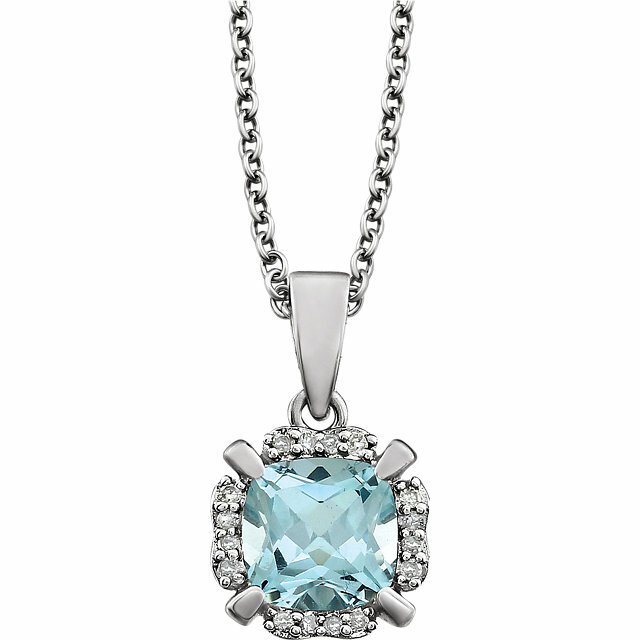 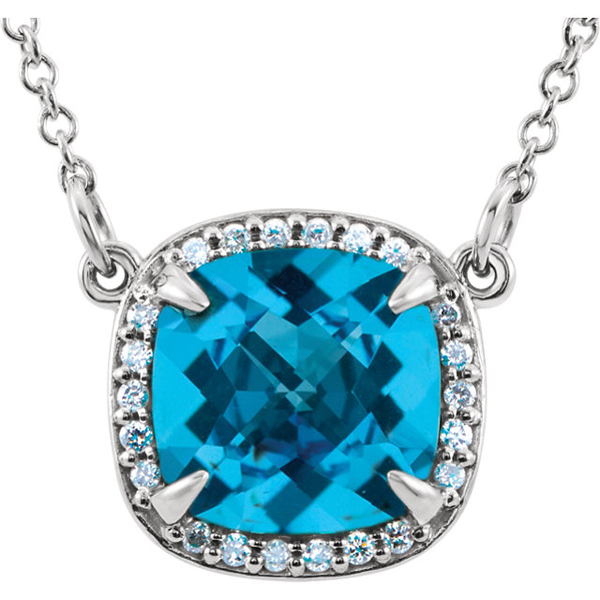 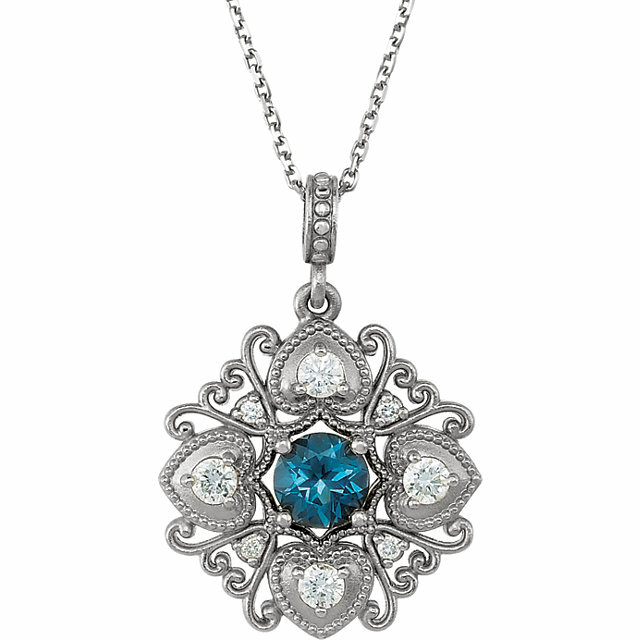 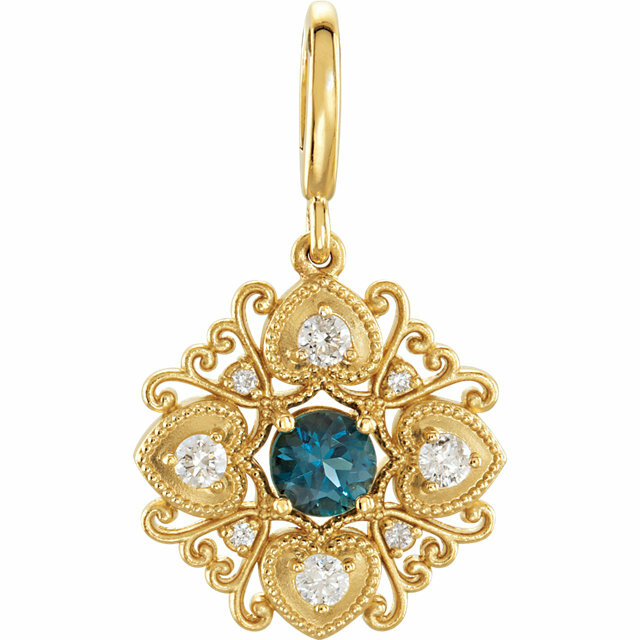 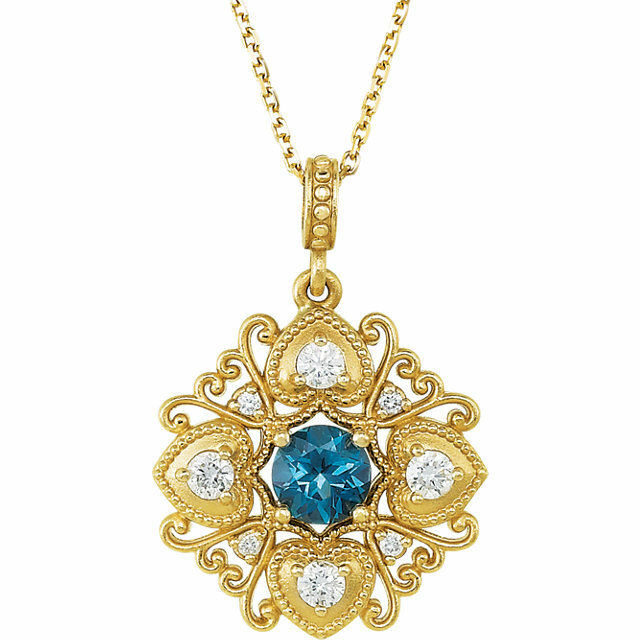 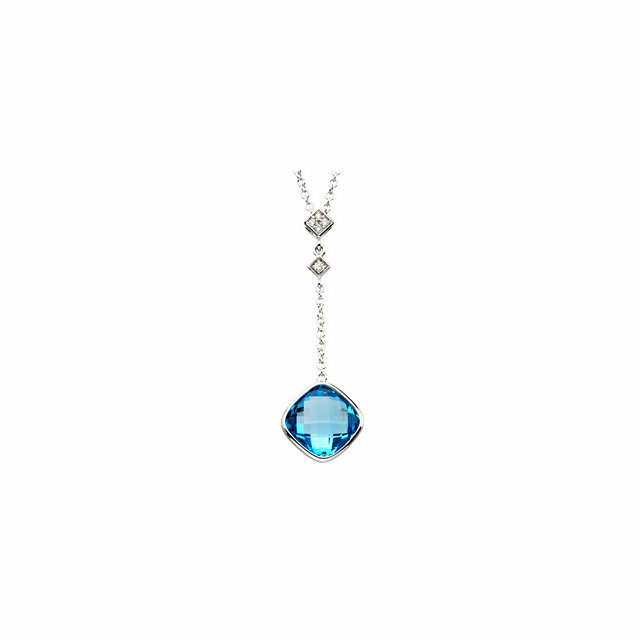 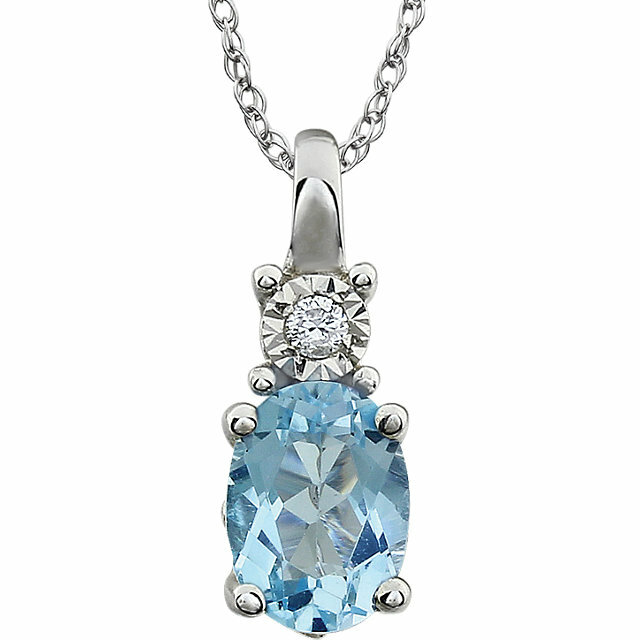 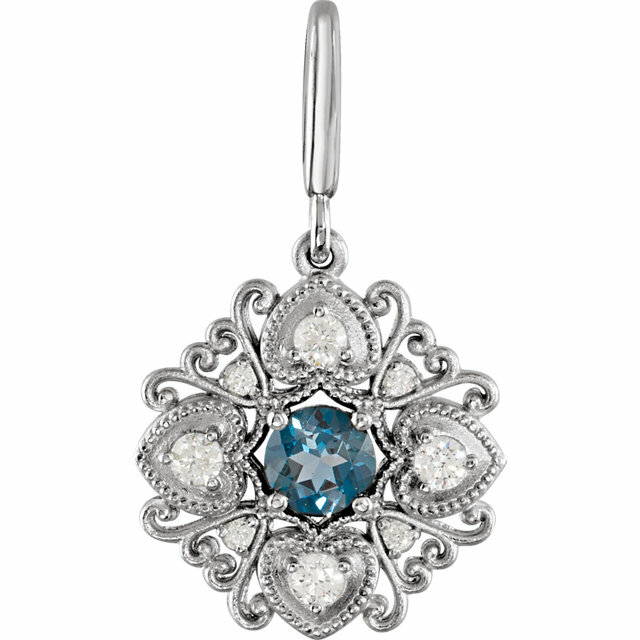 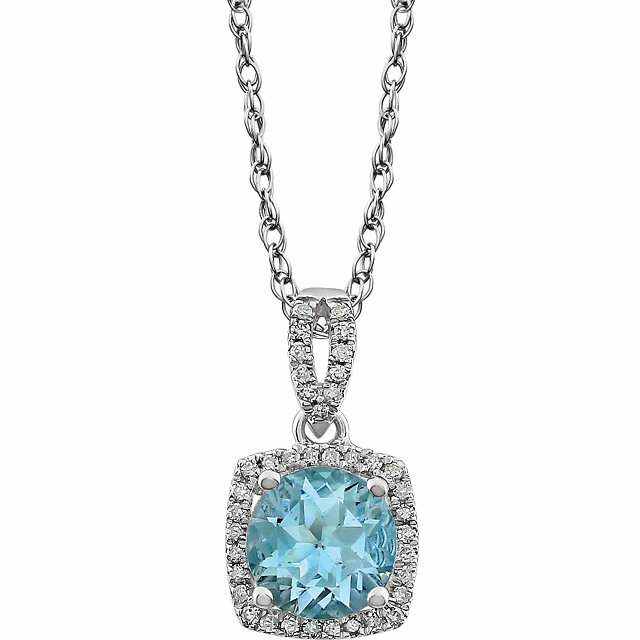 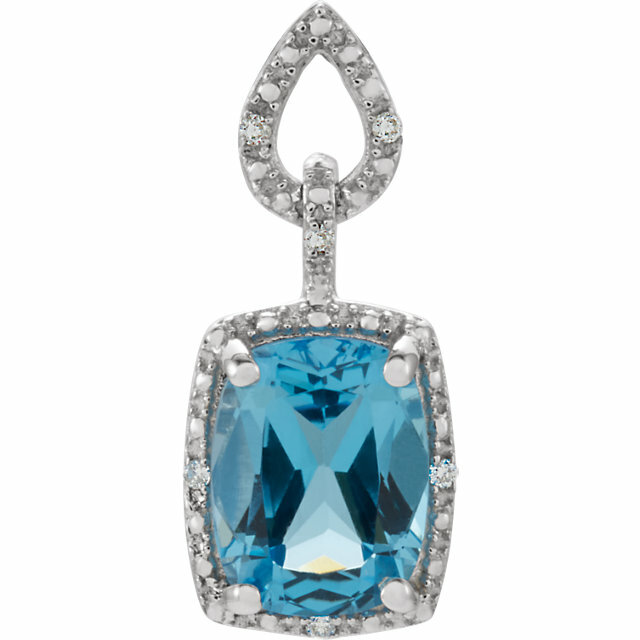 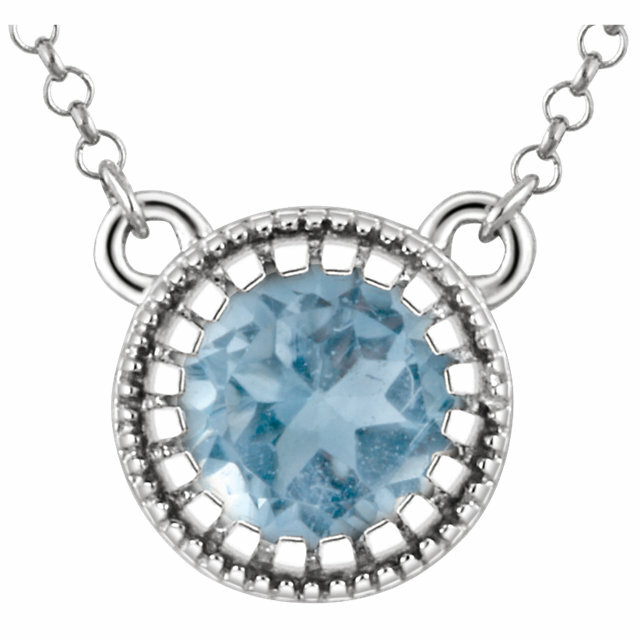 Unbelievable 2.8ct 8mm Checkerboard Antique Square Swiss Blue Topaz Pendant With Halo Diamond Accents - FREE Chain 22 0.80 mm Diamonds Create a Resplendent Halo Frame Around The Centergem in This Classy Pendant. 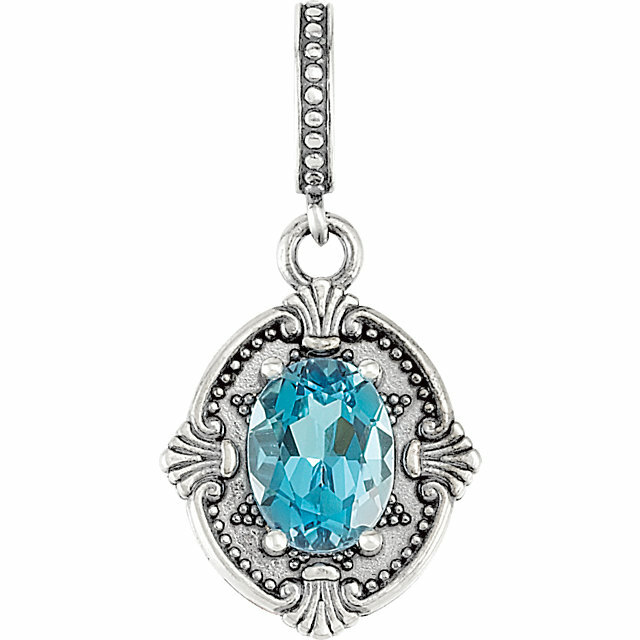 A Checkerboard Faceted 8.00 mm Antique Square Swiss Blue Topaz Gemstone Adds a Lovely Color Pop. Choose 14k White or Yellow Gold. 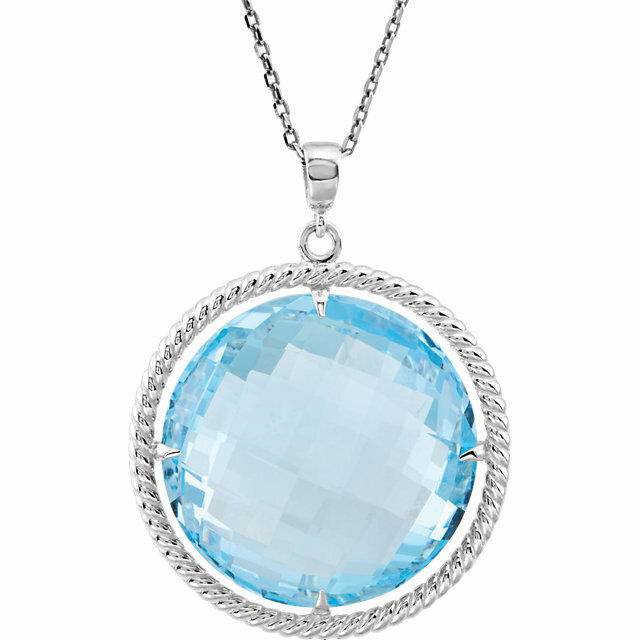 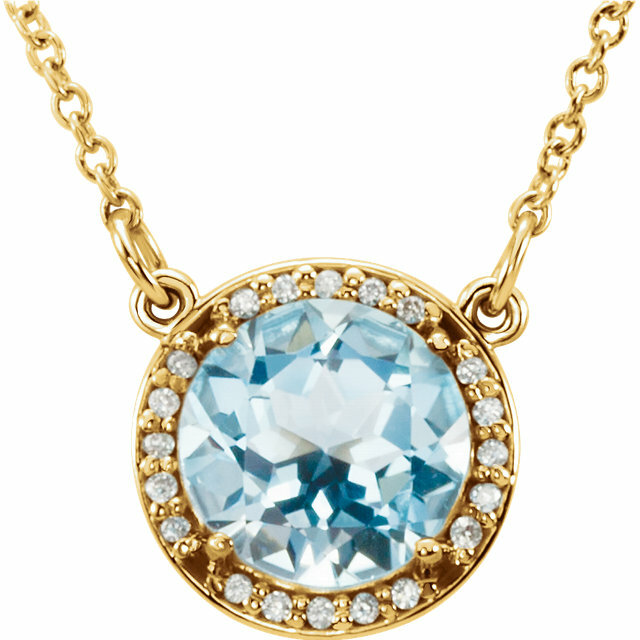 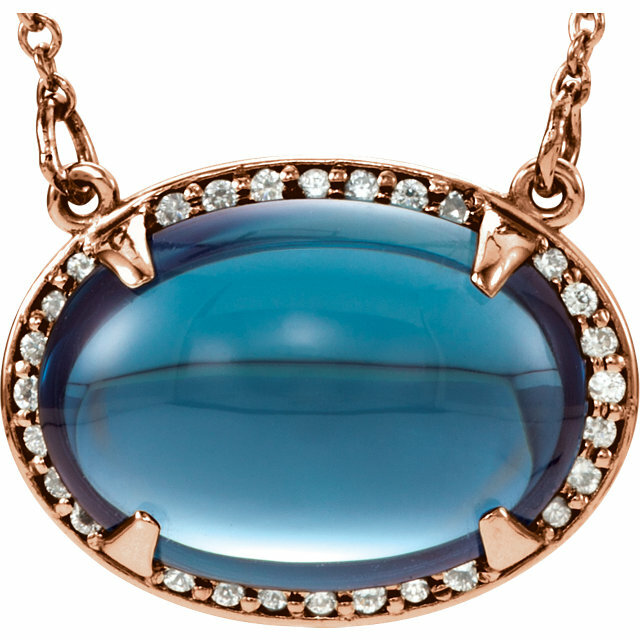 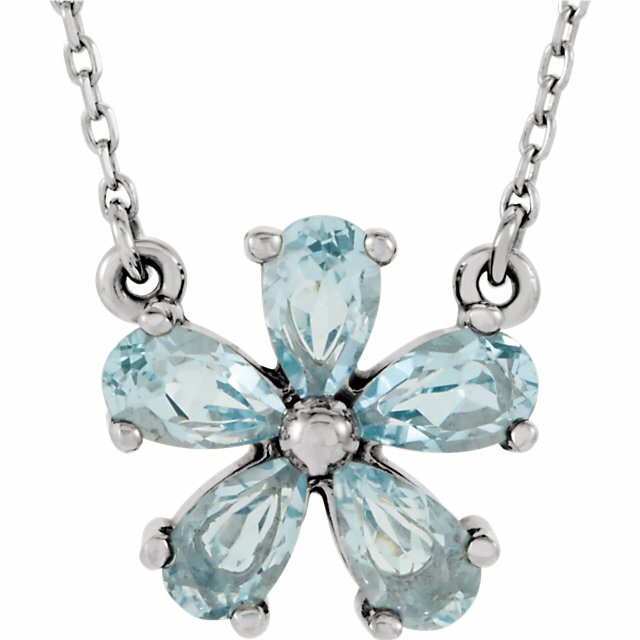 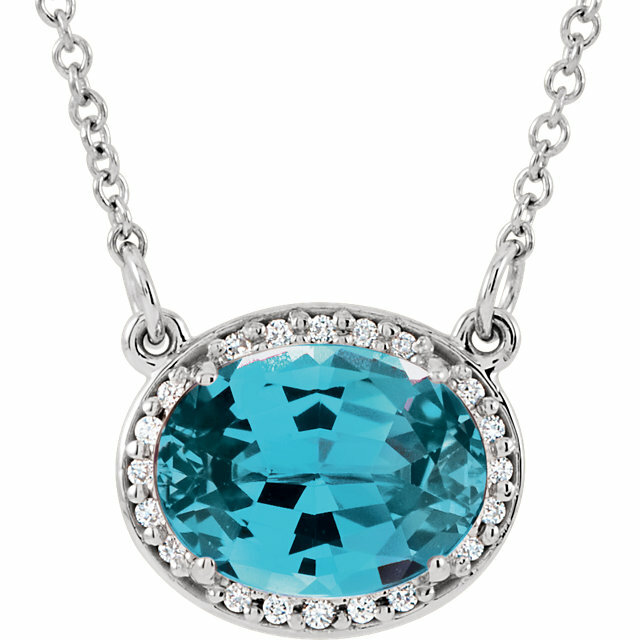 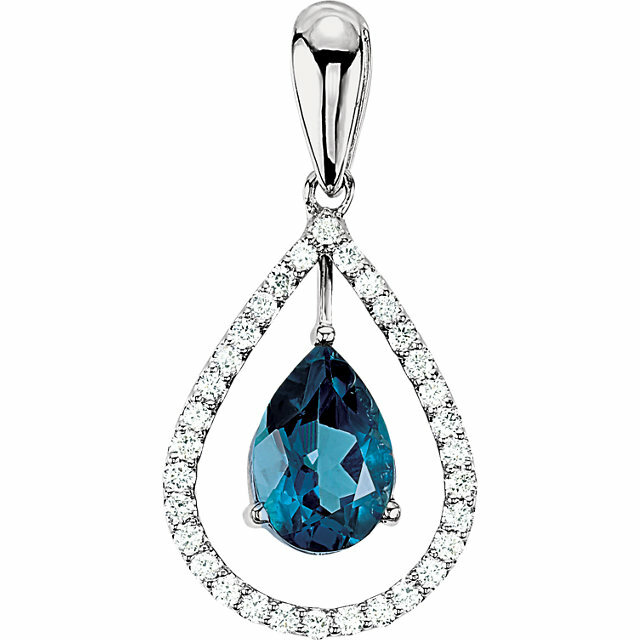 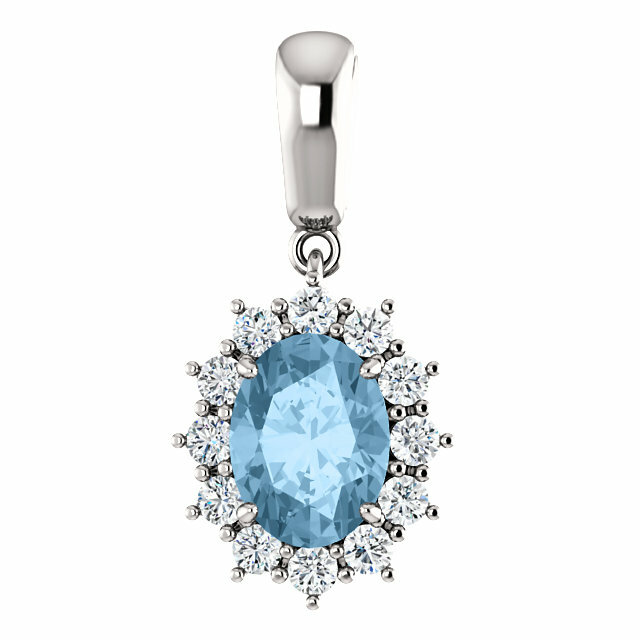 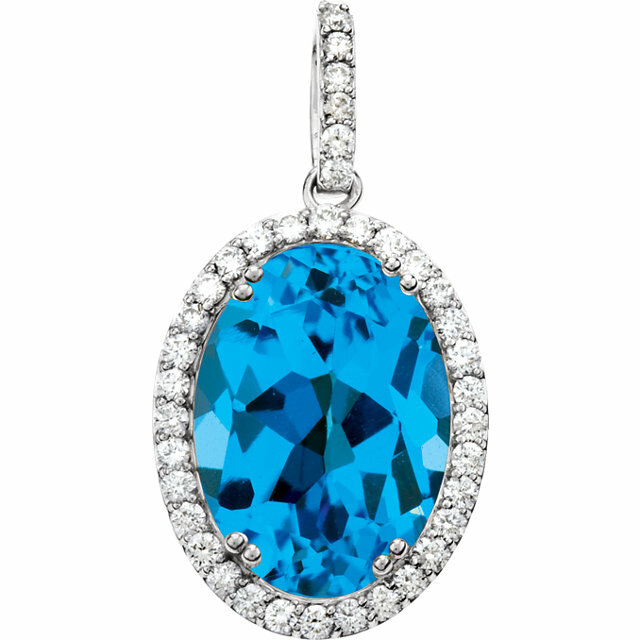 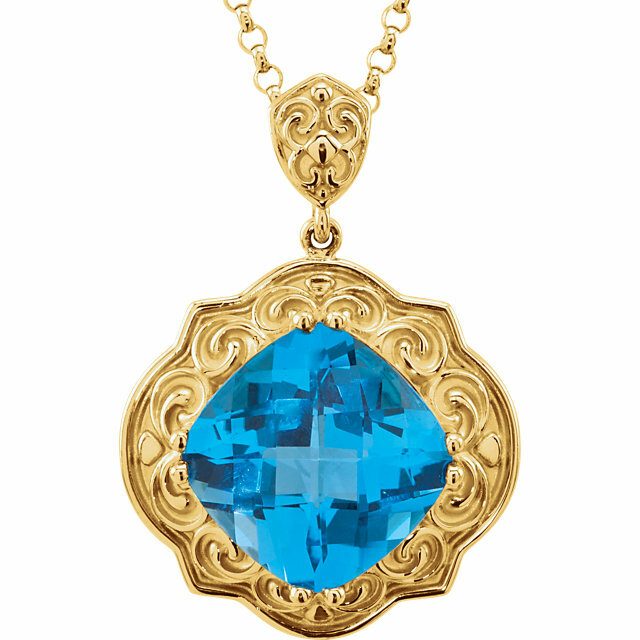 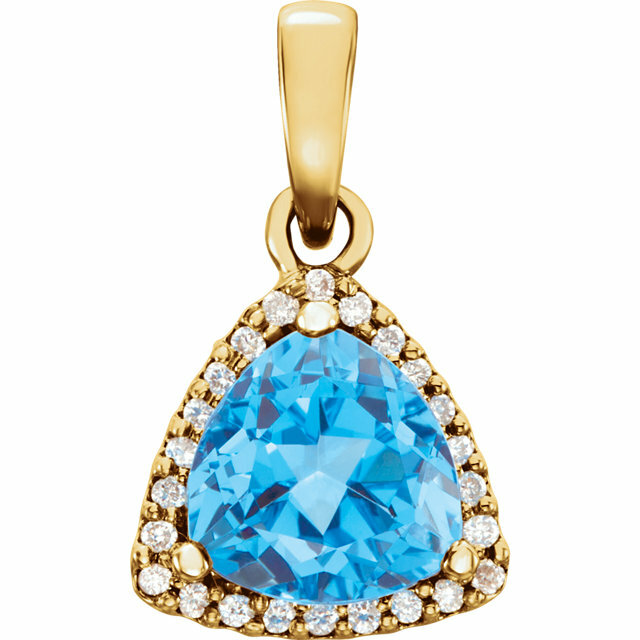 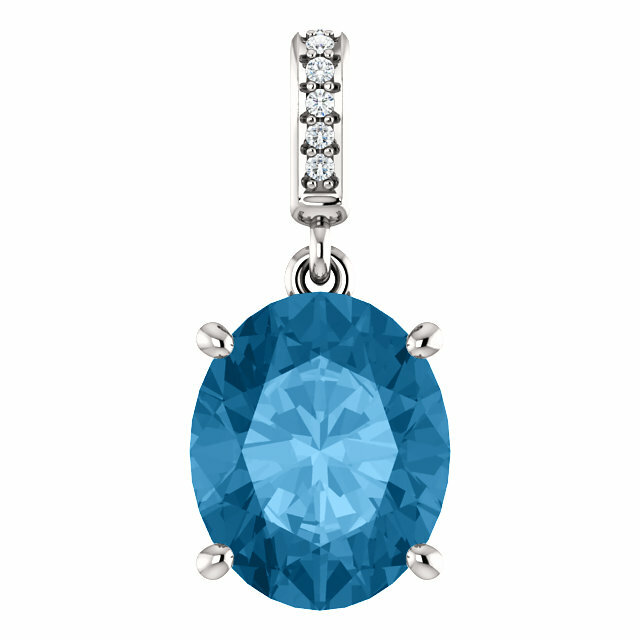 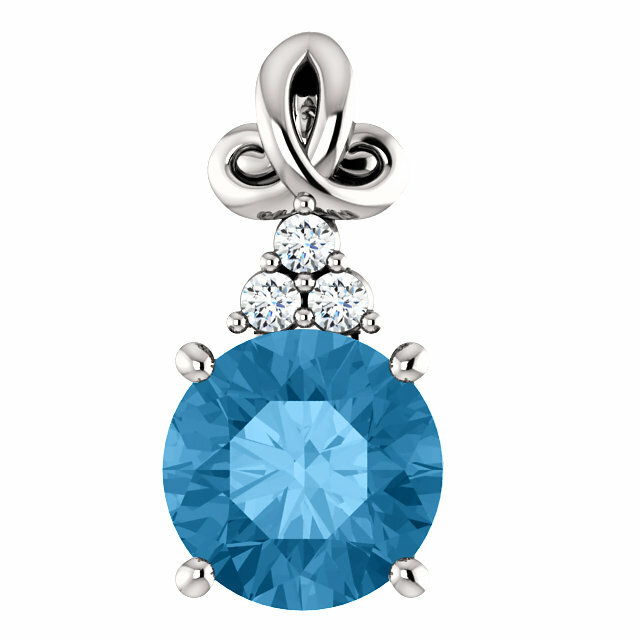 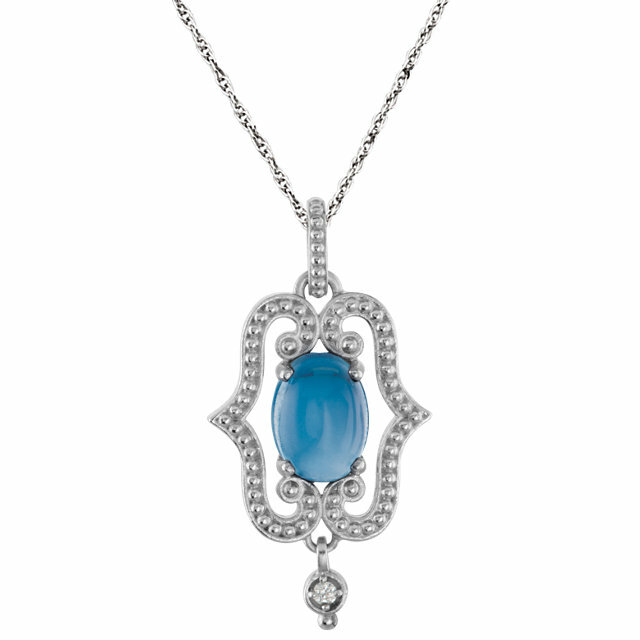 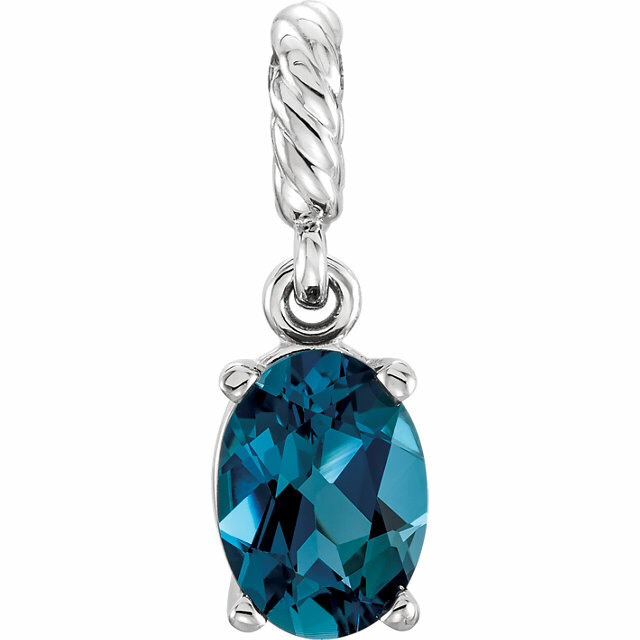 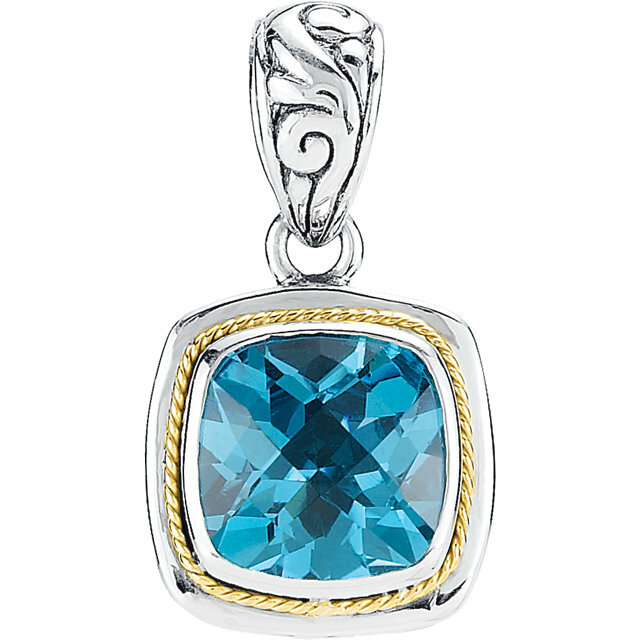 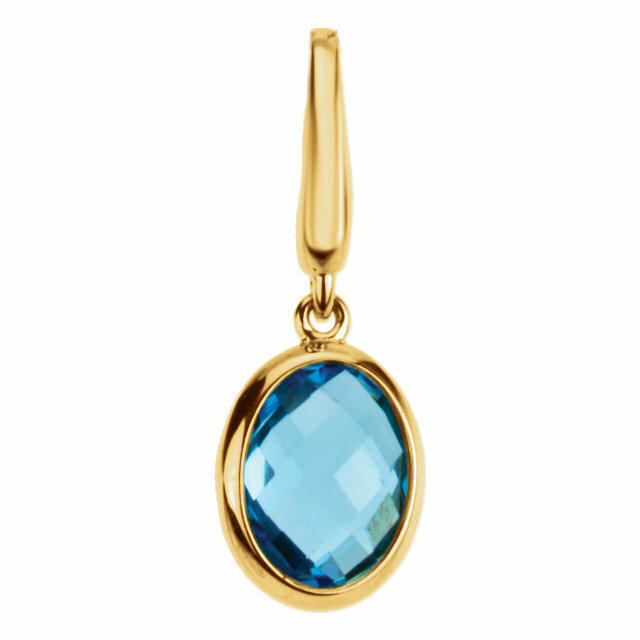 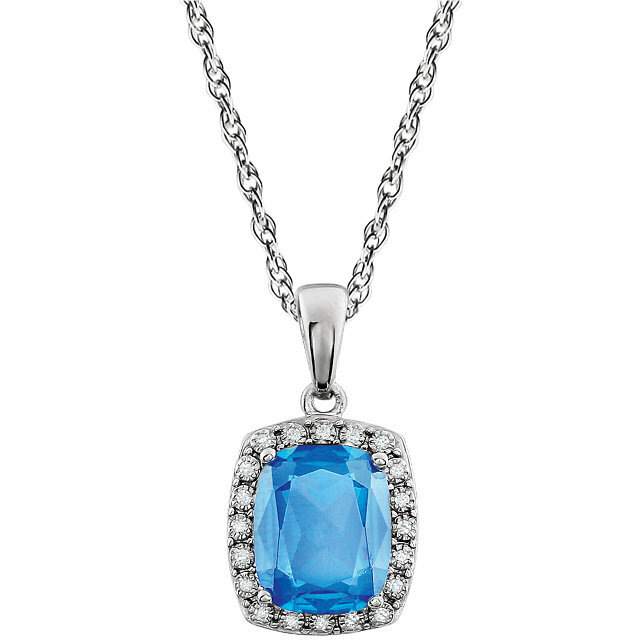 There is something unmistakably fresh and rejuvenating about the energetic blue of Swiss Topaz. 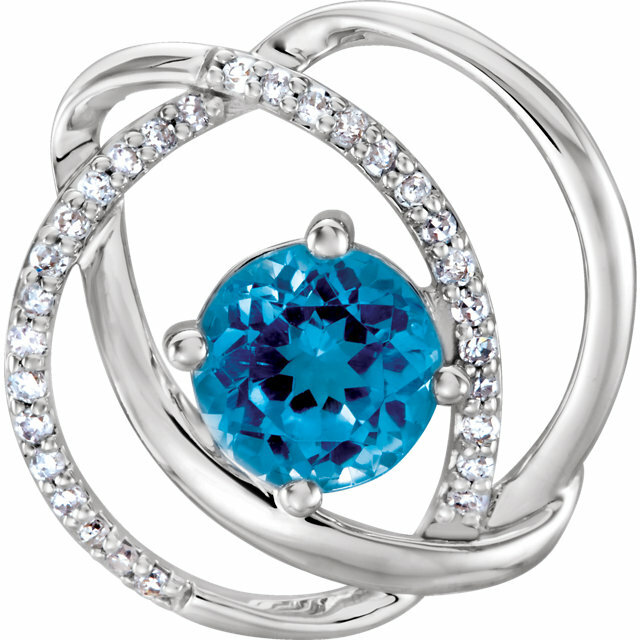 Blue is the color of communication and self expression. 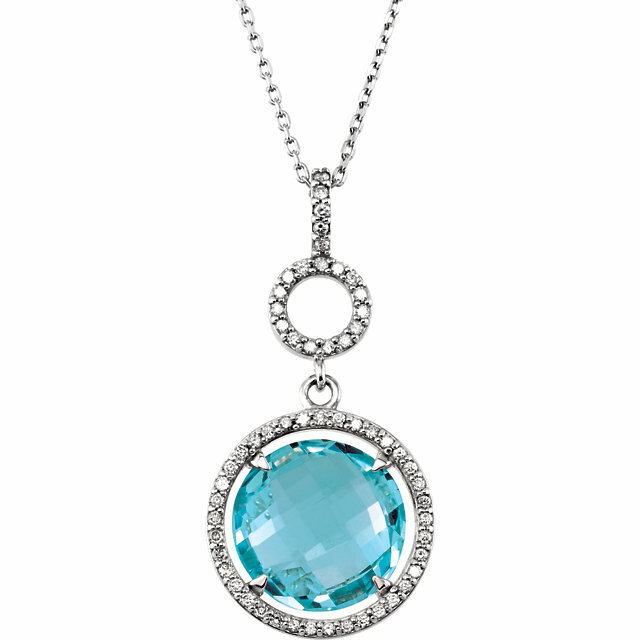 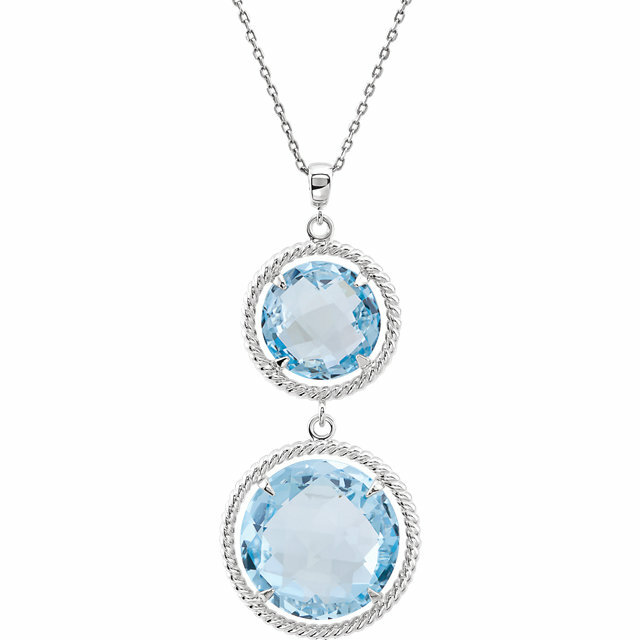 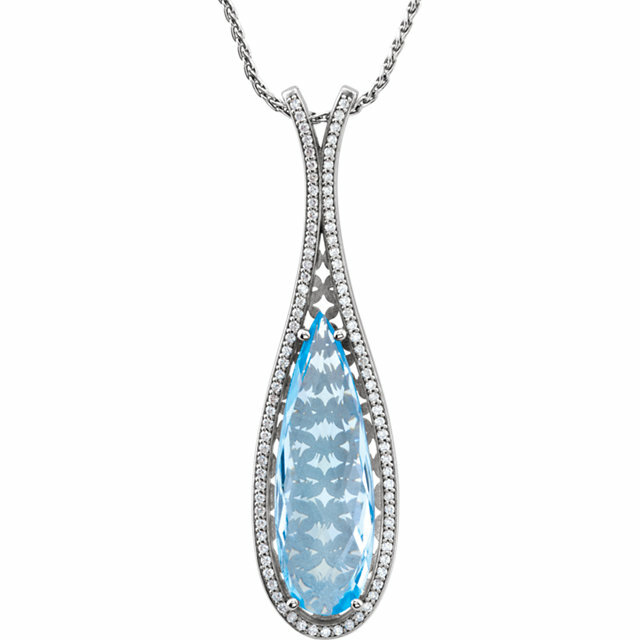 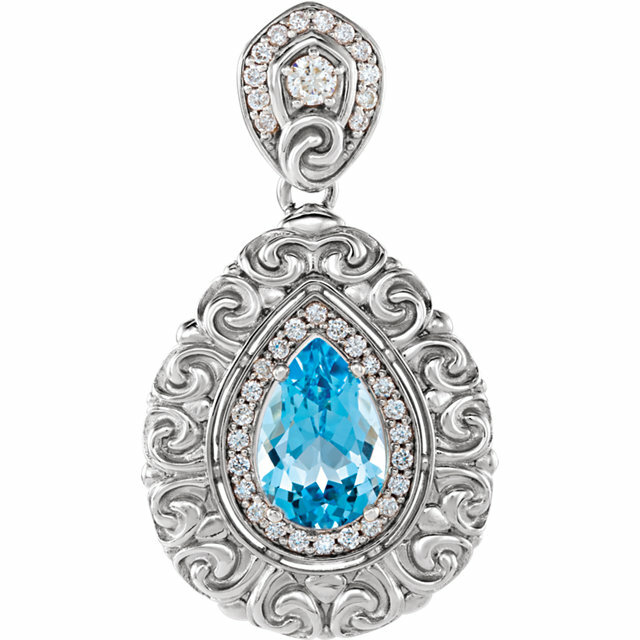 The clear, voluptuous color of Blue Topaz certainly speaks for itself. 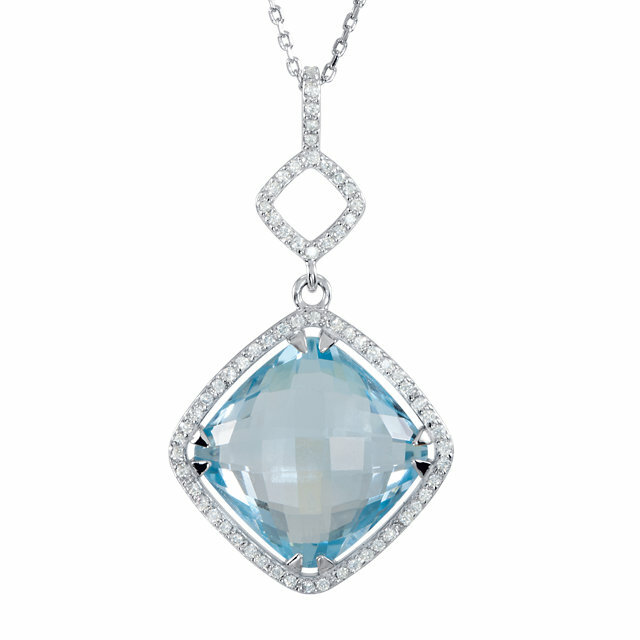 From the pure pastel blue of an Alpine glacier�to the glow of the mid-summer sky�to the aquatic hue of the deepest ocean, refreshing Blue Topaz brings a breath of fresh air to contemporary jewelry designs. 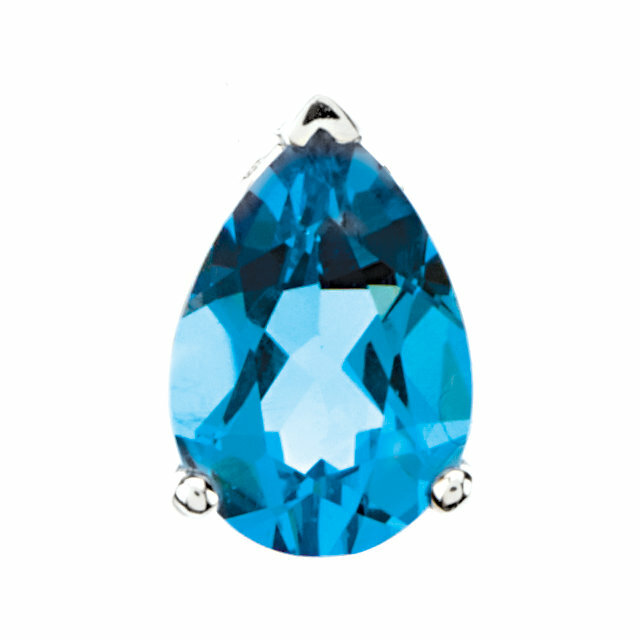 While Blue Topaz rivals Aquamarine in color and charm, it is found in greater abundance and therefore with Topaz you can get superb clarity and luminous color at a fraction of the cost. 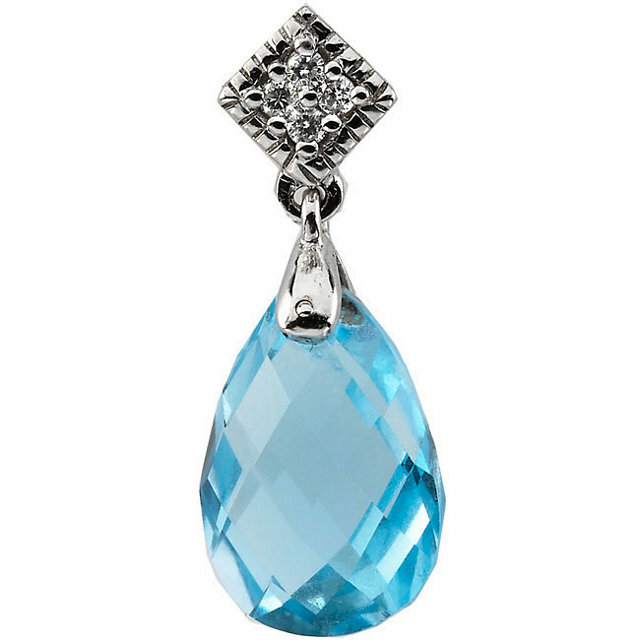 Aside from being one of the more affordable semi-precious gemstones, we offer Topaz Pendant for wholesale prices to add to the value of your purchase. 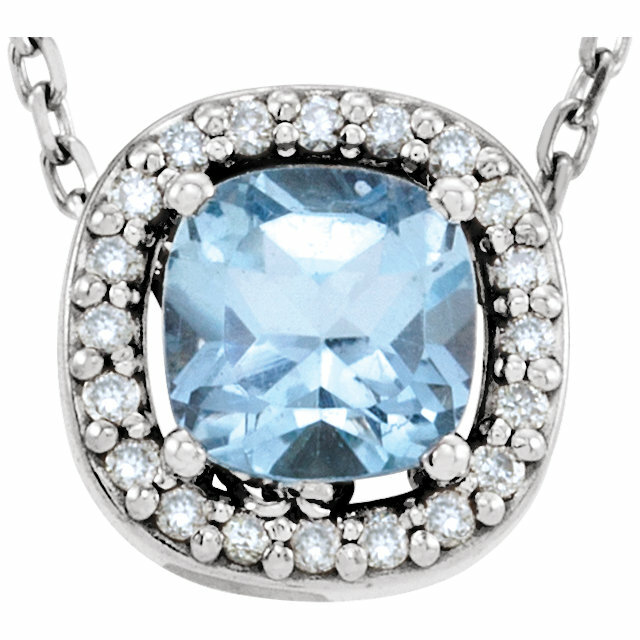 Jewelry with style, glamour, shine and quality does not have to break the bank. 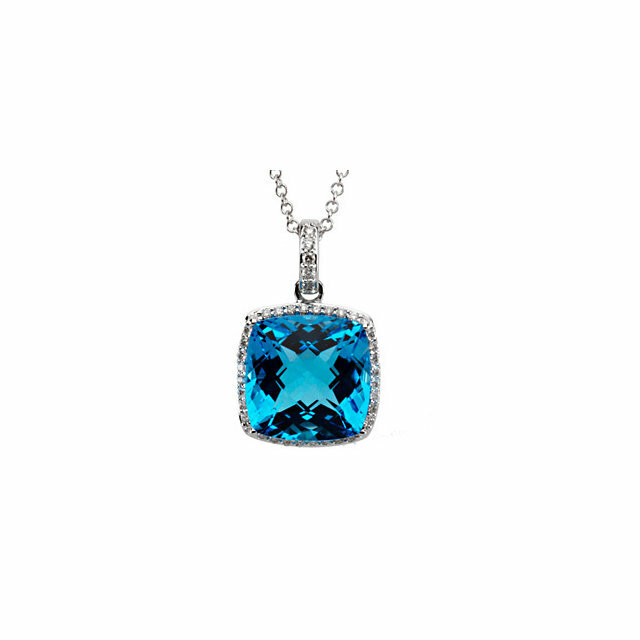 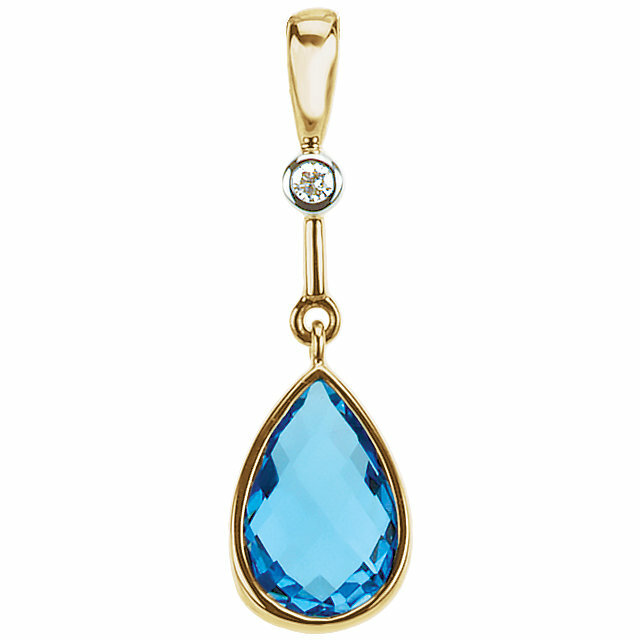 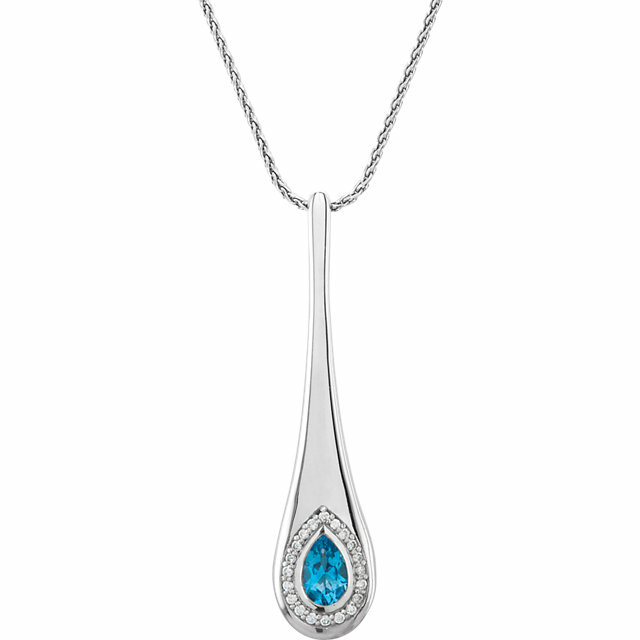 Our unique, eye-catching Blue Topaz Pendants are great buys�perfect for a special gift or for that empty space in your jewelry box. 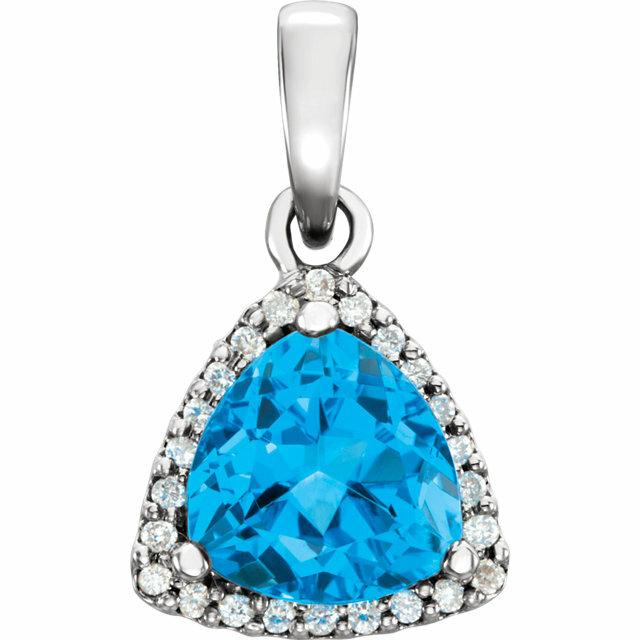 At AfricaGems we know gemstones and we know jewelry. 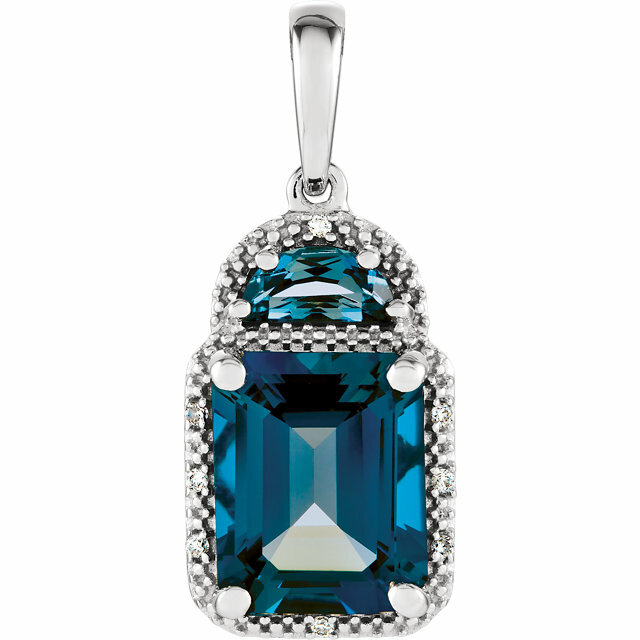 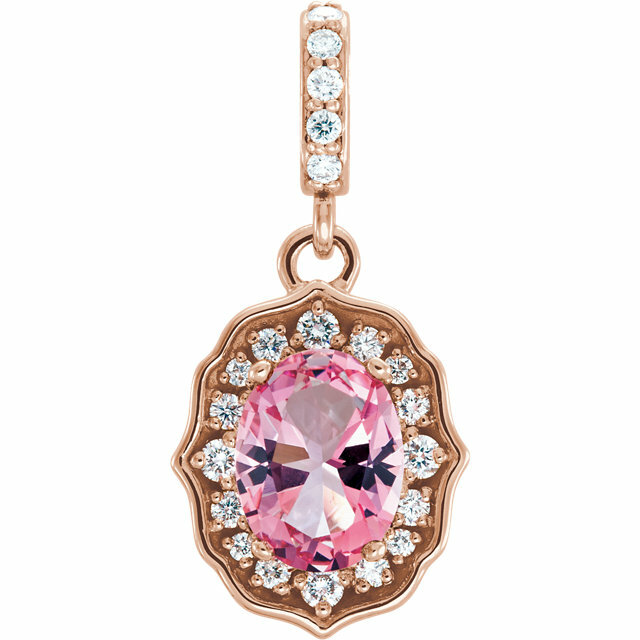 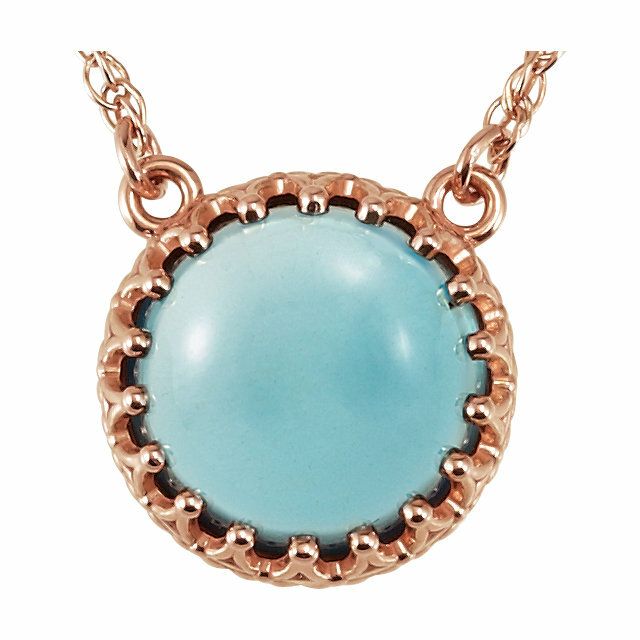 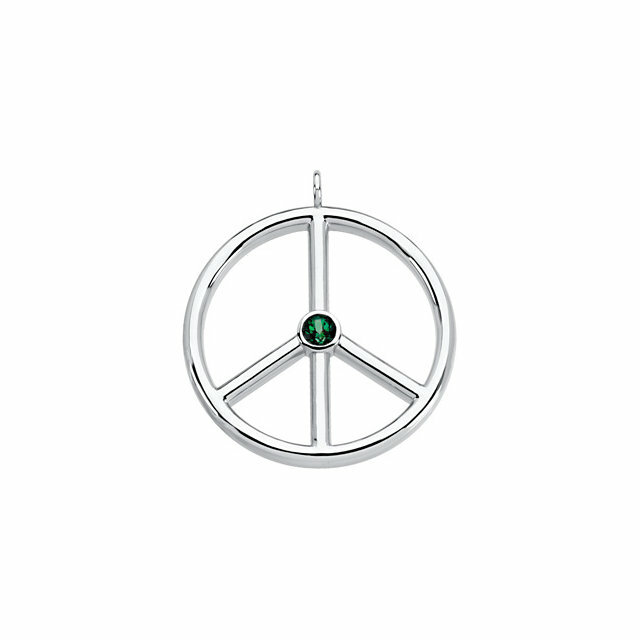 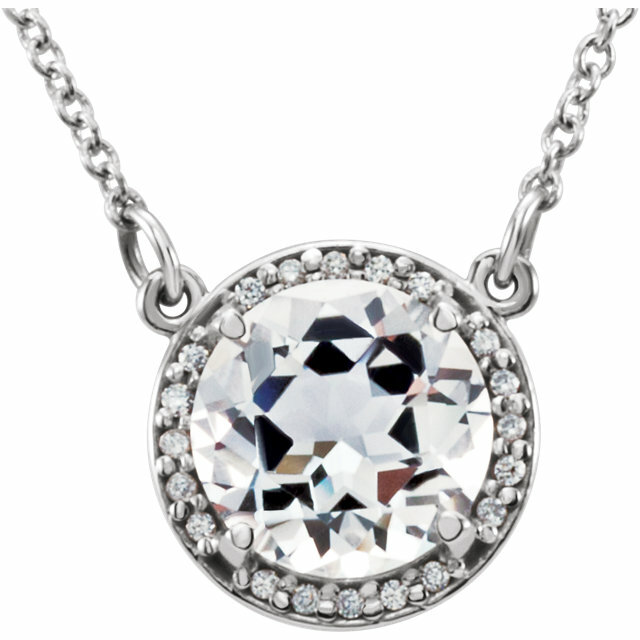 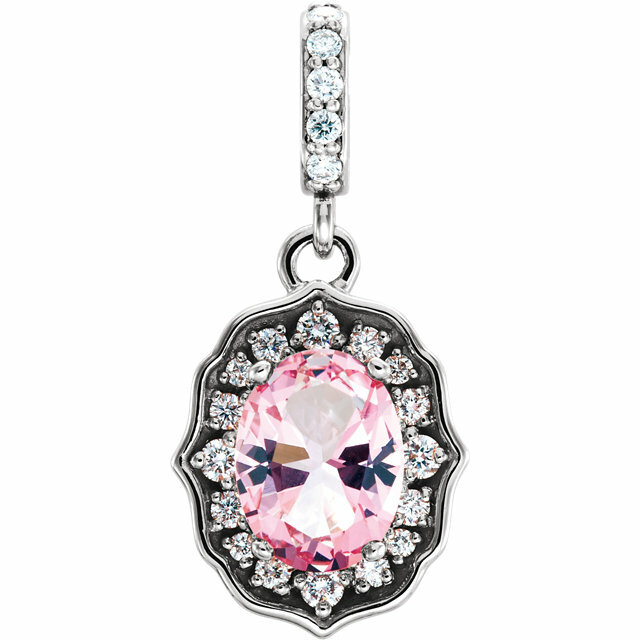 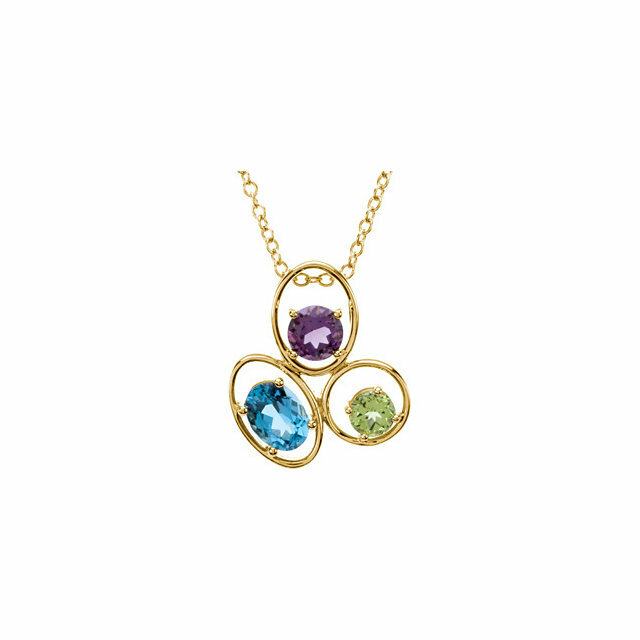 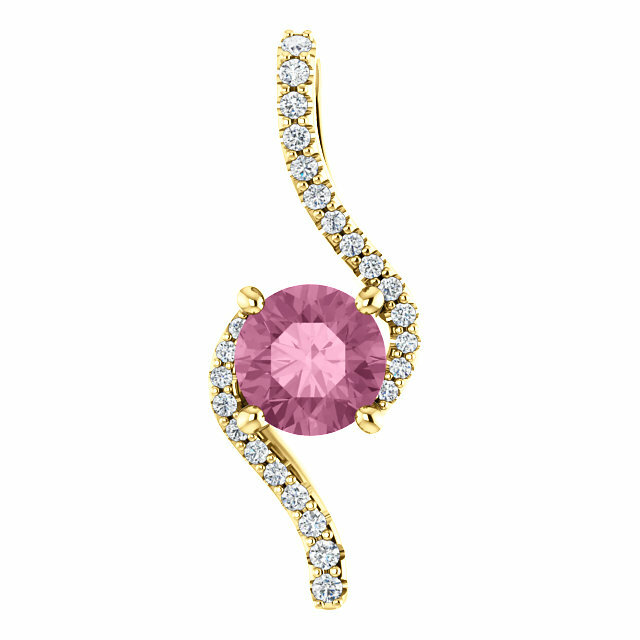 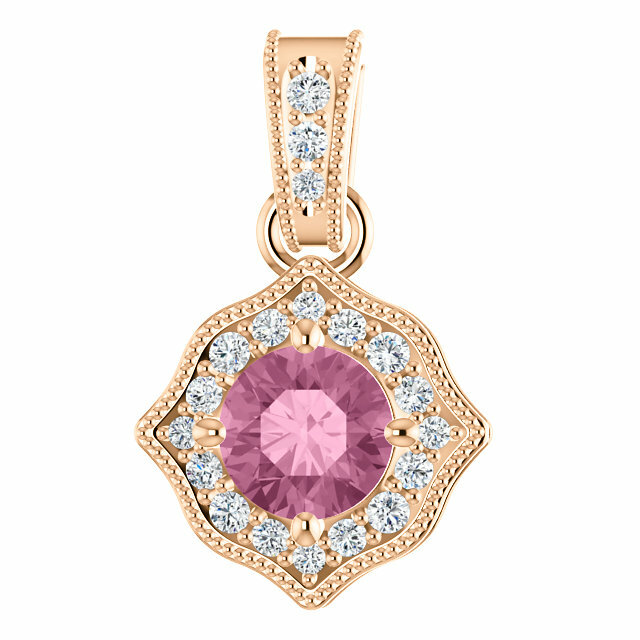 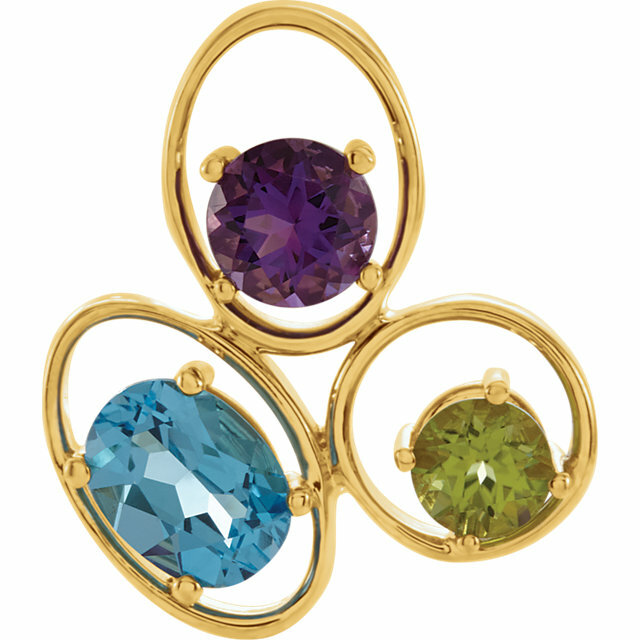 Our taste for the finest gemstone pendants is impeccable. 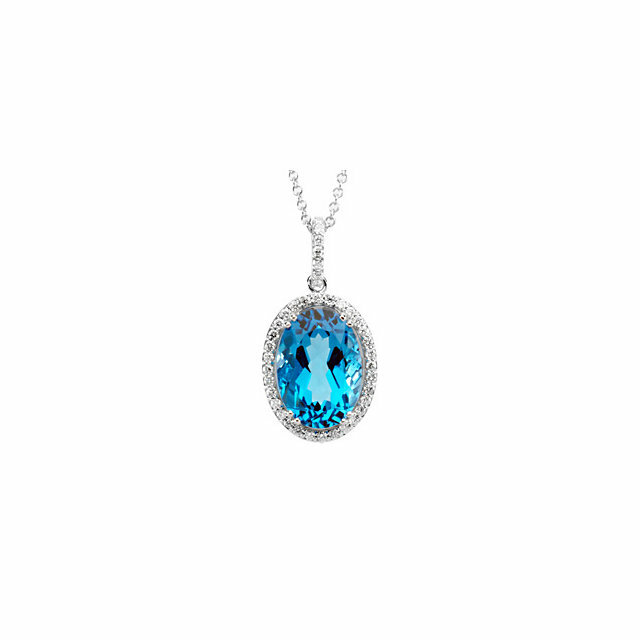 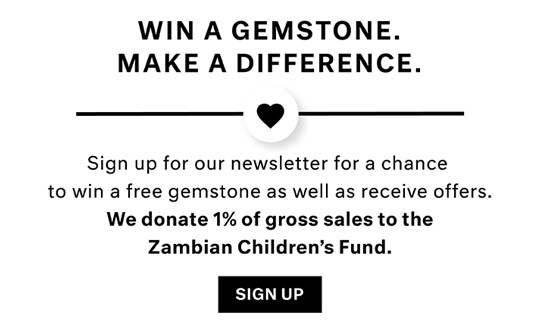 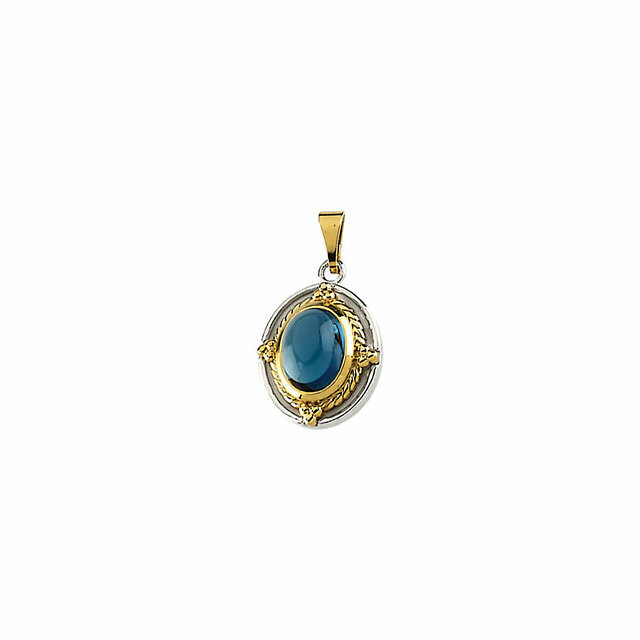 We are passionate about our gemstone pendants and we�re excited to present our Topaz Pendant collection which features Topaz gemstones in their perfect settings. 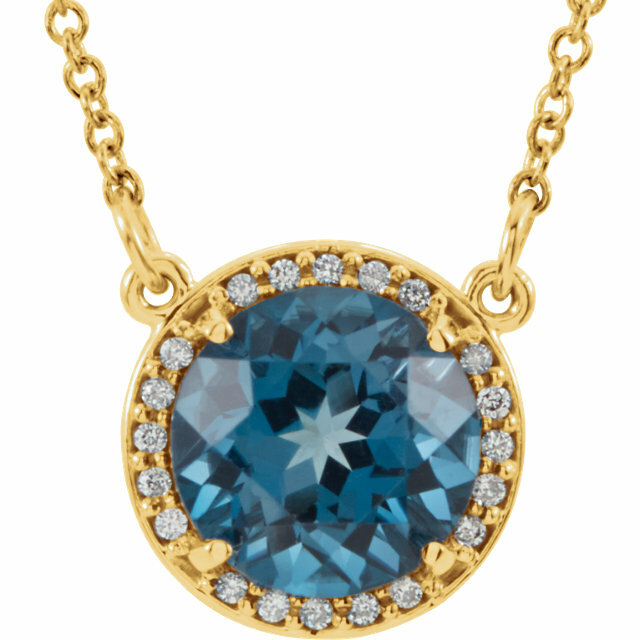 It takes a trained eye to understand which cuts and sizes of Topaz would be best framed in yellow gold while others are displayed beautifully with white gold and diamonds. 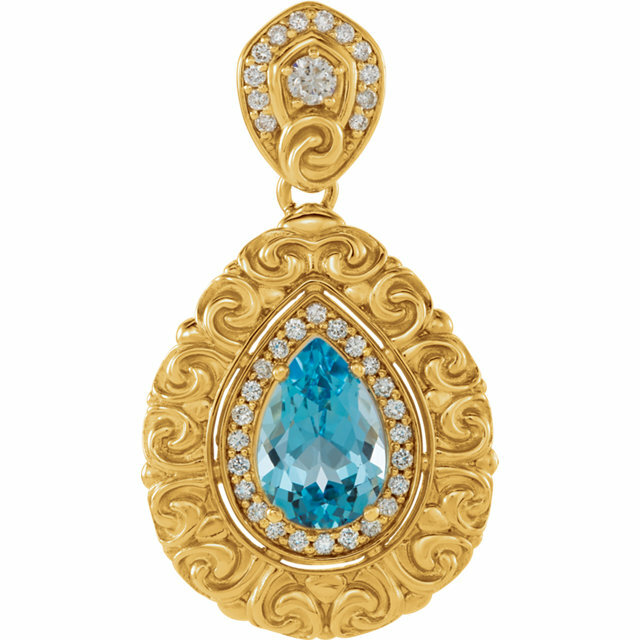 As you can surely tell from our collection, each Topaz was hand-picked for its unique mounting, and the results are simply exquisite. 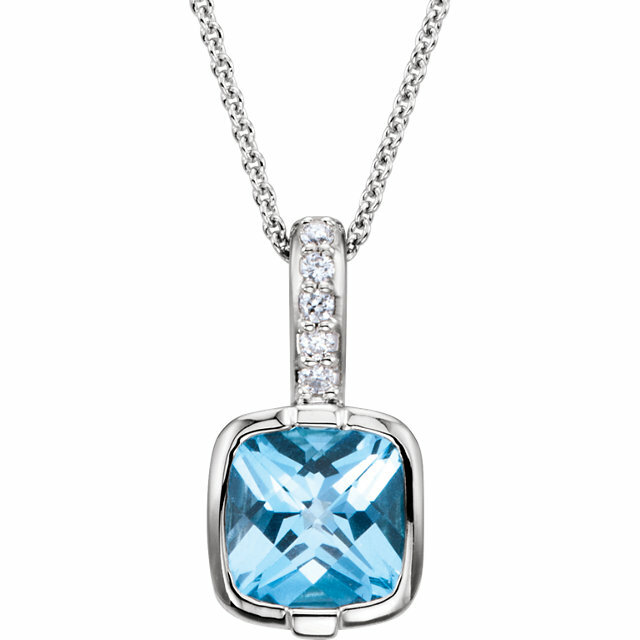 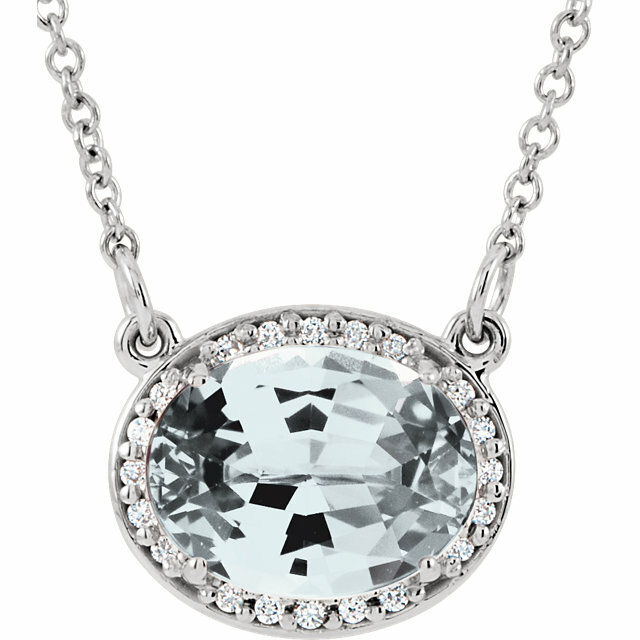 All Blue Topaz pendants come with a complimentary chain and will be shipped out the day it�s ordered!